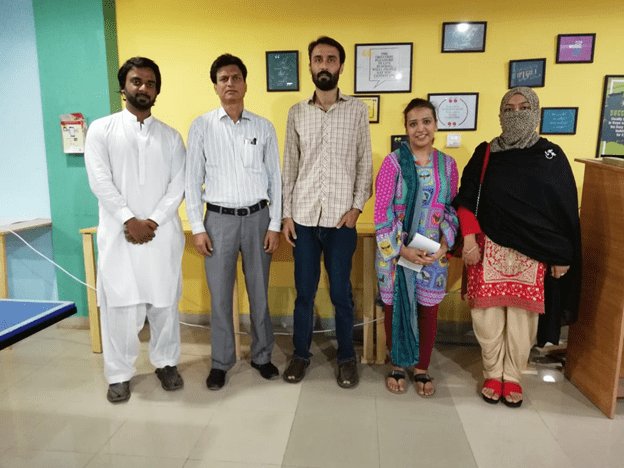 Dr. Rehmat Zaman Manager BIC, and Ms. Neelam Akhtar, Executive Training Associate met with Mr. Fakhar Abbas, Manager operations and Ms. Samia Event Manager. Team Jumpstart Pakistan briefly discussed on Shepherd’s Pie and L.I.F.T 18. They promised to take us on board for their nation wide events. Jump Start Pakistan is movement that creates entrepreneur. It promotes youth development by organically growing startups and teach them how to start a startup. Their aim is to change Pakistan through Entrepreneurship. The purpose of this visit was to build a relationship with Jump Start and collaborate each other in similar areas of interest. Jump Start team highly appreciated and committed their full support for BIC, The University of Haripur.